We’ve not been good at updating our website much lately, but we have been doing some reogranisation and we are now having another go at it! We’ll be updating these pages with some of the content that we’ve missed in our “dark period” (or should I say “Long Night”? or “Dark Age”?) over the next couple of weeks. In the mean time, why not come and talk to us on our 2d6 Lodge Facebook Page, drop us an email at 2d6lodge@gmail.com, contact us on twitter @lodge_2d6 or come and see us in person on a Friday night at 2d6 Lodge – details here! Hello world! Welcome to 2d6 Lodge! Welcome to 2d6 Lodge! This is our first blog post! 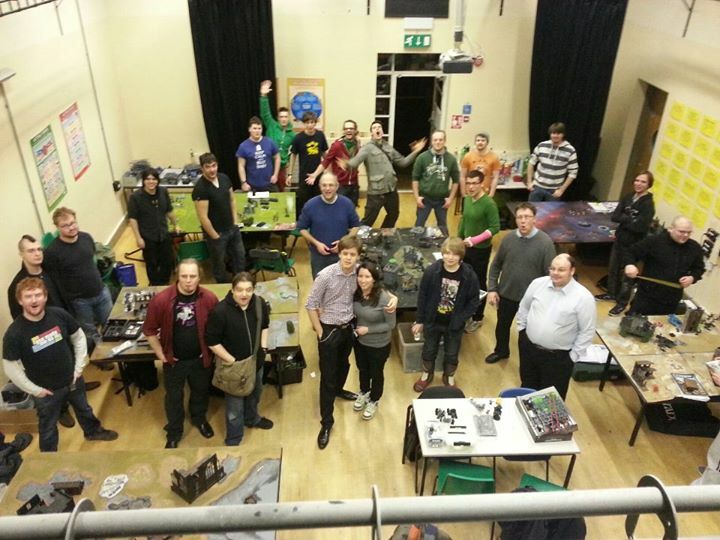 This group has been opened for all gamers and hobbyists in and around Cambridge who are looking to find a place where they can gather to play their favourite games, have discussions with fellow gamers, build and paint models, or just meet up with people for a chat. All information regarding 2d6 Lodge is listed below, and as time goes by this may be further updated, but until then all relevant information is gathered here! All penny of the funds received go towards the hire of the venue and the running of the club! All gaming systems are welcome! Gaming tables can be booked in advance. This gives us gamers two hours to set up and play and a little time in between to tidy up for the next gamers! More wargaming tables will be made avialable if there is regular demand! 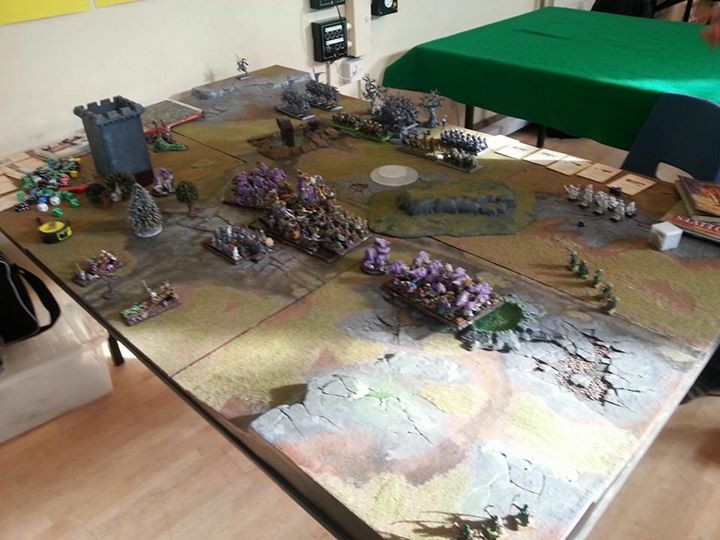 Smaller tables are also available for games not requiring 6×4 feet of tablespace! Separate tables will be available for card games. Free parking is available. There is more parking towards the back fo the school, but the gate there is locked at 7pm, so please be aware of this if using the extra parking! The Cambridge number 1 and 2 buses drop off very close to the school entrance. The number 1 (Citibus) stops directly outside of the school; the number 2 bus at the end of Queen Edith’s Way, which the junction of Wolfstan Way (just a short five minute walk from the school). The 2d6 Lodge club is run by six administrators (two of whom are staff from Netherhall school). No membership fee. Just pay when you play! Fire safety. Extinguishers and exits are all in place and routinely monitored. Food and drink is not allowed in the gaming hall. There is a small area still inside the building, if people want to stay in the warm, but it is still possible to eat outside of the gaming hall. Toilets are available: Male, Female and Disabled. Please use the appropriate toilet. Vending machines are supplied on premises so please help yourselves. A painting table will be available if required. Water will be provided, but you must bring your own painting equipment and tools. Anyone younger 16 years old must be accompanied by a parent (plus a contact number). Book club/discussion is available, if the demand is there. Future trips can be planned. For example, Warhammer World, Games Day, Salute, etc. Regular tournaments are organised through the club. Practice and advice/tips on games for preparations for official tournaments or general gaming. Sponsorship of other clubs around Cambridgeshire.